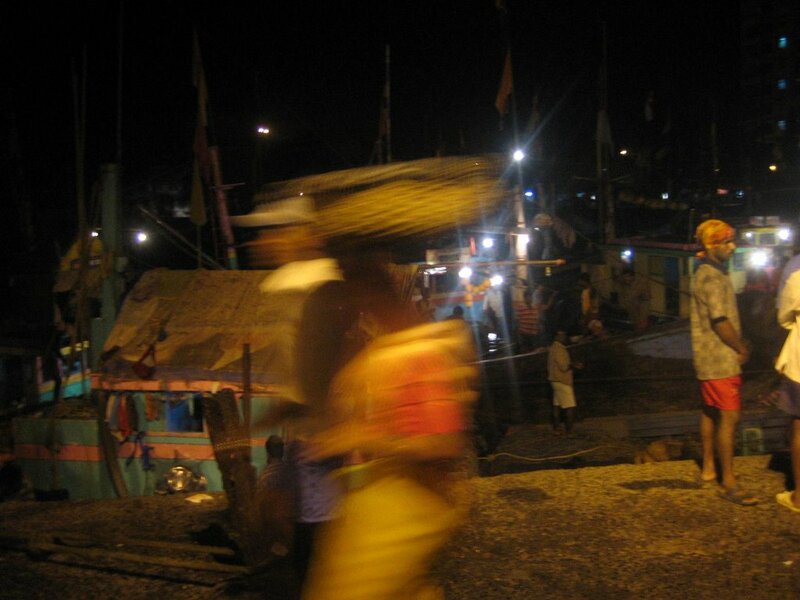 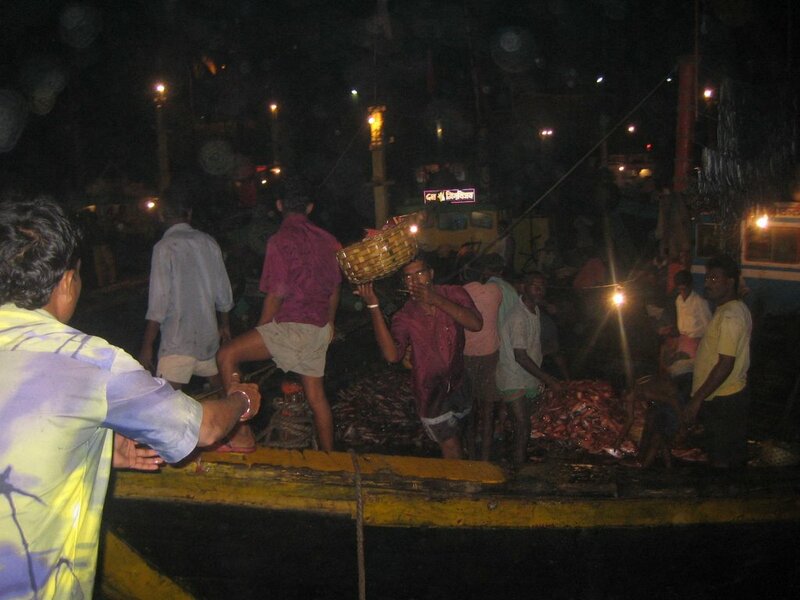 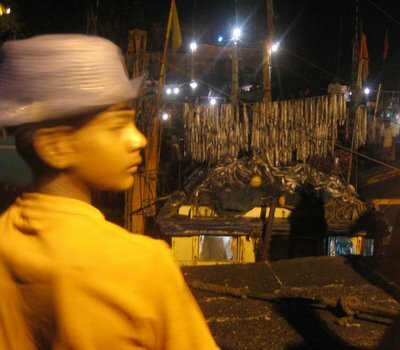 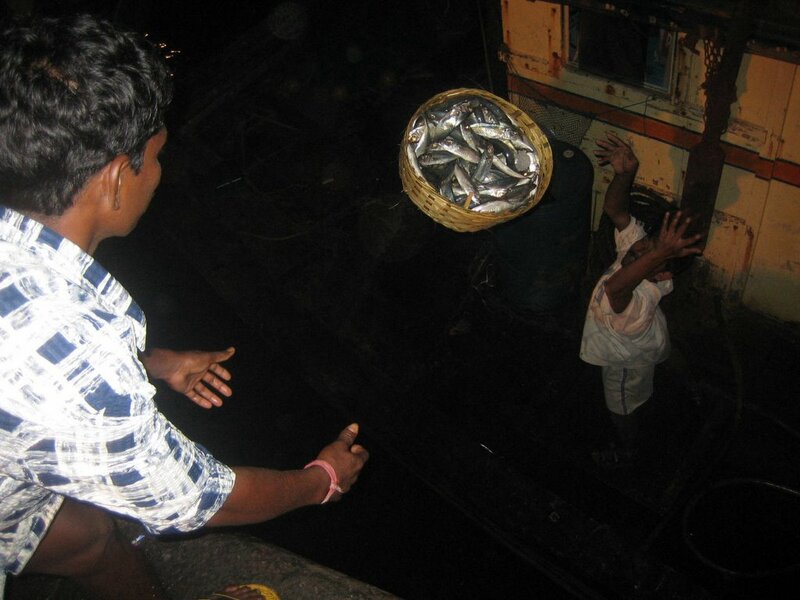 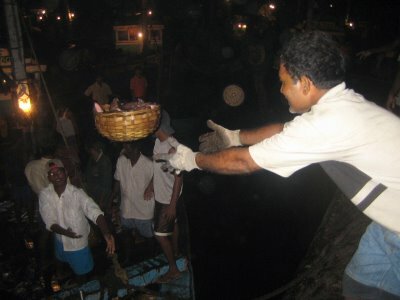 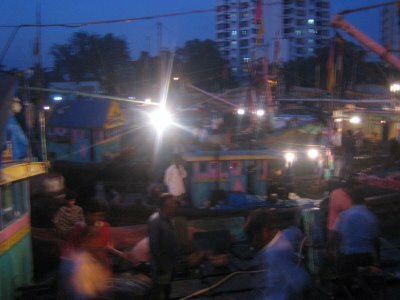 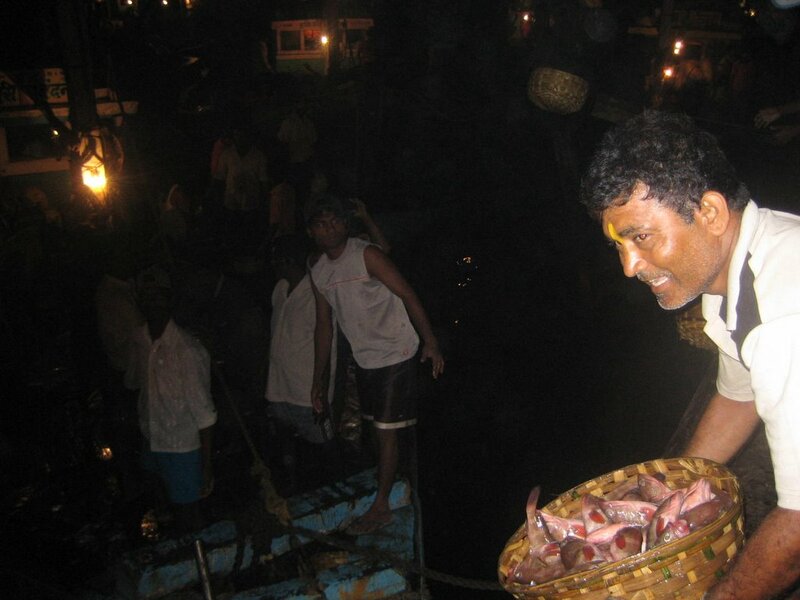 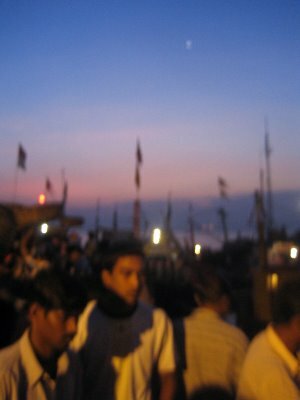 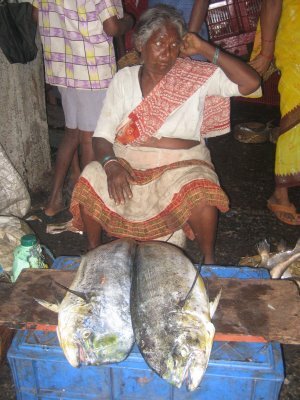 Fishing boats arrive at Sassoon Docks in the middle of the night and unload the fresh fish onto the docks using the flying basket method. 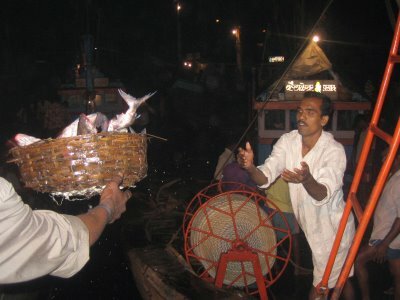 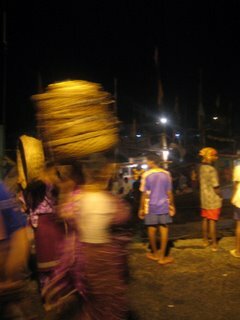 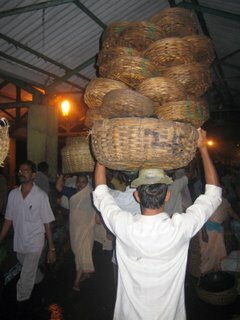 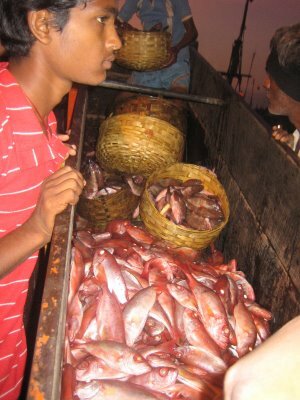 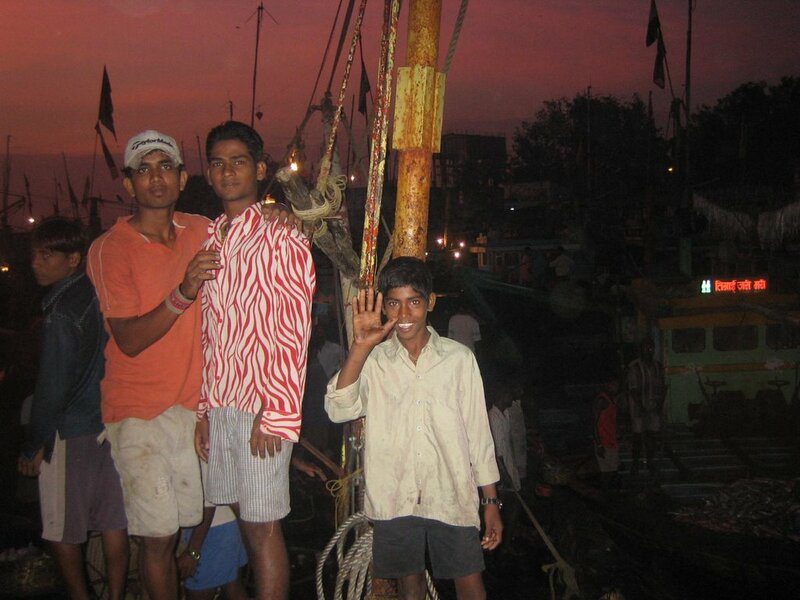 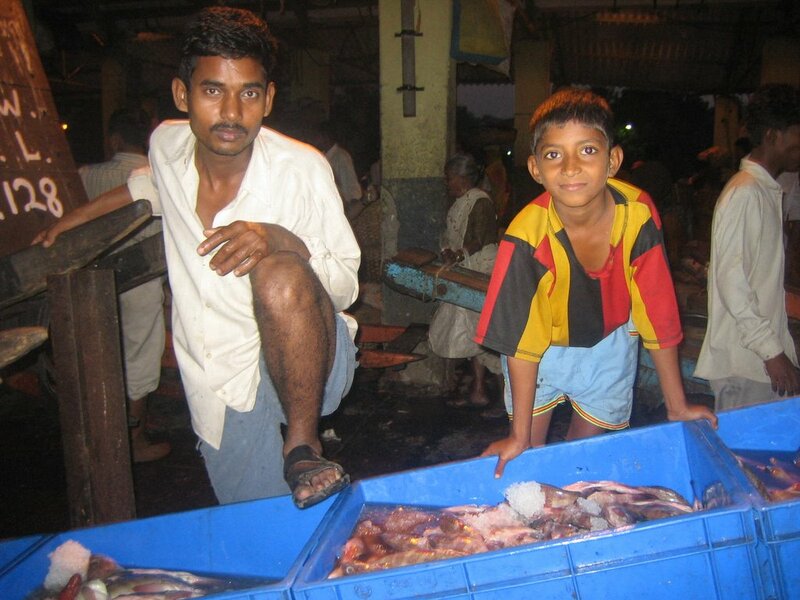 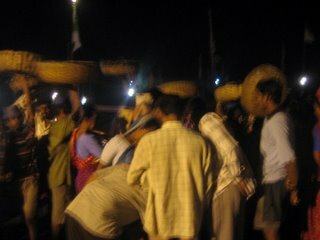 Baskets are brought into Sassoon Docks to be filled up w/ the daily catch. People rush to the boats to get first picks on the fresh fish. 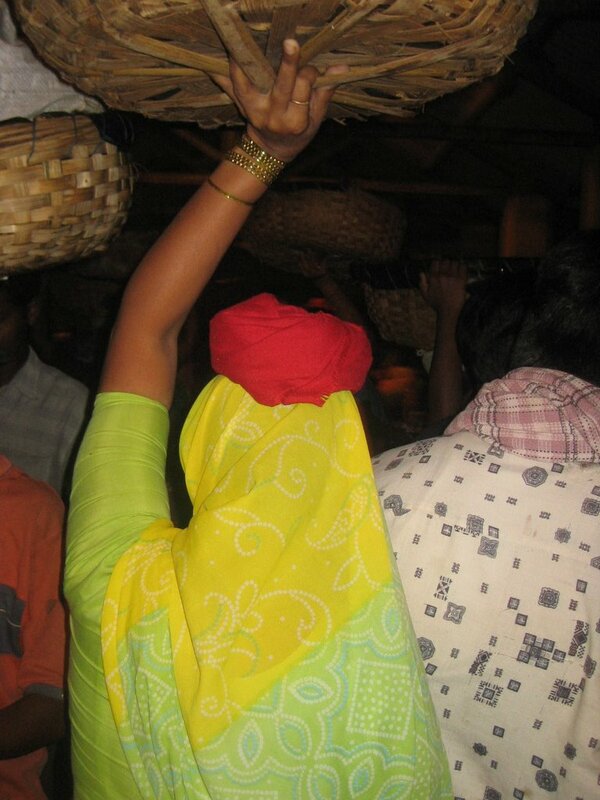 A piece of cloth is rolled up and wrapped on top of the head to act as a cushion/ balance aid for the big baskets.